MCC has announced that Shane Warne has been appointed to its World Cricket committee. Former Australia leg-spinner Warne, regarded as one of the greatest bowlers of all time, accepted the invitation to join the committee, which meets twice a year to discuss the most important issues in the game and acts as an independent voice in world cricket. Warne enjoyed a distinguished international career with Australia, becoming the first bowler to reach 700 Test wickets, with his tally of 708 standing second on the all-time list. He played 145 Tests for Australia, making his debut against India at Sydney in 1992 and bowing out 15 years later at the same venue in the final match of the Ashes series in 2006-07. Aside from his Test achievements, he took 293 wickets in 194 One-Day Internationals, and is one of only two bowlers to have taken over 1,000 international wickets across all formats of the game. Warne spent five seasons in English county cricket with Hampshire, and captained the side between 2004 and 2007. He officially retired from all formats of the game in 2013 following stints in Australia’s Big Bash and the Indian Premier League, but returned to captain the Rest of the World XI against MCC at Lord’s to celebrate the Bicentenary of the Ground in 2014. He was made an Honorary Life Member of MCC in 2009. Warne takes up his position on the World Cricket committee as a replacement for his fellow Australian Rod Marsh, who has stepped down after serving on the committee since 2012. "It is an extremely exciting time for cricket and I hope that I will have plenty to offer in discussion and debate"
Mike Gatting, Chairman of the MCC World Cricket committee, said: “We’re delighted to welcome Shane on to the committee. Obviously his profile in the world game is as big as they come and with his extensive experience, I am sure he will offer great insights into many different facets of the game. 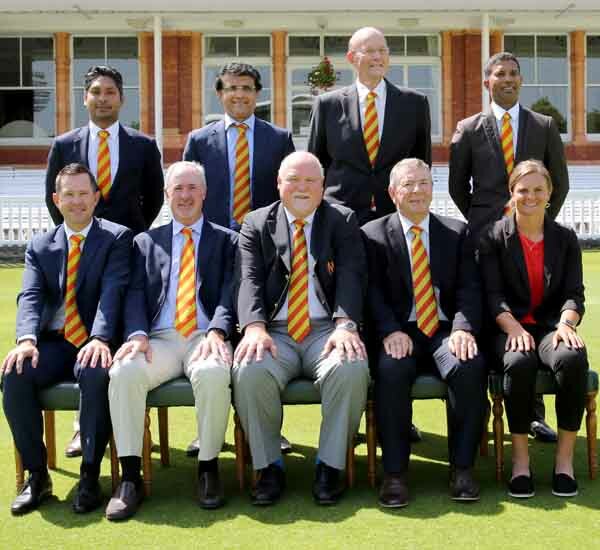 One of the key outcomes of the MCC World Cricket committee’s last meeting, which was held at Lord’s in August, included the suggestion that pace of play needs further scrutiny, with the idea of adopting a “shot clock” to help speed up play. Since it was formed in 2006, the MCC World Cricket committee has made recommendations which have resulted in the introduction of pink ball day/night cricket in the Test match arena, the universal adoption of DRS across the international game, and a limit placed on the size of bats to help the balance between bat and ball.